Her Majesty Queen Elizabeth II was born 21st April 1926. She is the constitutional monarch of 16 sovereign states known as the Commonwealth realms, and head of the 54-member Commonwealth of Nations. In her specific role as the monarch of the UnitedKingdom, one of her 16 realms, she is also Supreme Governor of the Church of England. Elizabeth was born in London, and educated privately at home. Her father acceded to the throne as George VI in 1936 on the abdication of his brother Edward VIII and She began to undertake public duties during the Second World War, and also served in the Auxiliary Territorial Service. On the death of her father in 1952, she became Head of the Commonwealth and queen regnant of seven independent Commonwealth countries: the United Kingdom, Canada, Australia, New Zealand, South Africa, Pakistan, and Ceylon (Sri Lanka). Her coronation service in 1953 was the first to be televised. Between 1956 and 1992, many territories gained independence or became republics. Today, Elizabeth is Queen of Jamaica,Barbados, the Bahamas, Grenada, Papua New Guinea, the Solomon Islands, Tuvalu, Saint Lucia, Saint Vincent and the Grenadines, Belize, Antigua and Barbuda, and Saint Kitts and Nevis. In 1947 she married Prince Philip, Duke of Edinburgh, with whom she has four children: Charles, Anne, Andrew, and Edward. and Her reign of 60 years is the second-longest for a British monarch; only Queen Victoria has reigned longer. Her Silver and Golden Jubilees were celebrated in 1977 and 2002; her Diamond Jubilee was celebrated 2012. Elizabeth met her future husband, Prince Philip of Greece and Denmark, in 1934 and 1937. After another meeting at the Royal Naval College in Dartmouth in July 1939, Elizabeth – though only 13 years old – fell in love with Philip, and they began to exchange letters.They married on 20 November 1947 at Westminster Abbey. They are second cousins once removed through King Christian IX of Denmark and third cousins through Queen Victoria. Before the marriage, Philip renounced his Greek and Danish titles, converted from Greek Orthodoxy to Anglicanism, and adopted the style Lieutenant Philip Mountbatten, taking the surname of his mother’s British family. Just before the wedding, he was created Duke of Edinburgh and granted the style of His Royal Highness. Elizabeth gave birth to her first child, Prince Charles, on 14 November 1948, A second child, Princess Anne, was born in 1950, Princes Andrew was born in in 1959 and Edward in 1963. Durind 1952 her Father King George VI’s health unfortunately declined, and Elizabeth was soon frequently standing in for him at public events. In October of that year, she toured Canada, and visited President Truman in Washington, D.C. And on the trip, her private secretary, Martin Charteris, carried a draft accession declaration for use if the King died while she was on tour. In early 1952, Elizabeth and Philip set out for a tour of Australia and New Zealand by way of Kenya. On 6 February 1952, they had just returned to their Kenyan home, Sagana Lodge, after a night spent at Treetops Hotel, when word arrived of the death of Elizabeth’s father. Philip broke the news to the new queen. Martin Charteris asked her to choose a regal name; she chose to remain Elizabeth, “of course”. She was proclaimed queen throughout her realms, and the royal party hastily returned to the United Kingdom. She and the Duke of Edinburgh moved into Buckingham Palace.With Elizabeth’s accession it seemed likely that the royal house would bear her husband’s name. Lord Mountbatten thought it would be the House of Mountbatten, as Elizabeth would typically have taken Philip’s last name on marriage; however Elizabeth’s grandmother Queen Mary and British Prime Minister Winston Churchill favoured the retention of the House of Windsor, and so Windsor it remained. Despite the death of Queen Mary ten weeks before, the coronation went ahead on 2 June 1953. Before she died, Mary had asked that the coronation not be delayed. The ceremony in Westminster Abbey, except the anointing and communion, was televised for the first time, and the coverage was instrumental in boosting the medium’s popularity; the number of television licences in the United Kingdom doubled to 3 million. Elizabeth’s pregnancies with Princes Andrew and Edward in 1959 and 1963, respectively, mark the only times she has not performed the State Opening of the British parliament during her reign. In addition to performing traditional ceremonies, she also instituted new practices such as the Royal Walkabout. Her first royal walkabout, meeting ordinary members of the public, took place during a tour of Australia and New Zealand in 1970. In 1977, Elizabeth marked the Silver Jubilee of her accession. Many street parties and other events were held to mark the occasion (I used to have a commemorative mug) Many of which coincided with the Queens Associated National and Commonwealth tours and These celebrations re-affirmed the Queen’s ongoing popularity She again undertook an extensive tour of her realms, which began in Jamaica in February, As in 1977, there were many street parties and commemorative events, and monuments bult to honour the occasion. A million people attended each day of the three-day main Jubilee celebration in London, and the enthusiasm shown by the public for Elizabeth again re-affirmed her ongoing popularity. In 2002, Elizabeth marked her Golden Jubilee as queen. Sadly though both Her sister Princess Margaret and mother died in February and March 2002. On 20 March 2008 the Queen also attended the first Maundy service held outside of England and Wales -t the Church of Ireland St Patrick’s Cathedral, Armagh, at the invitation of Irish President Mary McAleese, in May 2011 the Queen made the first state visit to the Republic of Ireland by a British monarch. Elizabeth addressed the United Nations for a second time in 2010, again in her capacity as queen of all her realms and Head of the Commonwealth. UN Secretary General Ban Ki-moon introduced her as “an anchor for ourage”. During her visit to New York, which followed a tour of Canada, she officially opened a memorial garden n remembrance of the British victims who pershed durng the September 11th attacks on The World Trade Centre. The Queen visited Australia again in October 2011, her 16th visit since 1954. In 2012 HM Queen Elizabeth celebrated her Diamond Jubilee, marking 60 years as Queen. She is the longest-lived and second-longest-reigning monarch of the United Kingdom, and the second-longest-serving current head of state (after King Bhumibol Adulyadej of Thailand). She does not intend to abdicate, though the proportion of public duties performed by Prince Charles and the Duchess of Cornwall or Prince William and the Duchess of Cambridge may increase as Elizabeth reduces her commitments. She also opened the 2012 Summer Olympics on 27 July 2012 and the Paralympics on 29 August in London. Her father, George VI, opened the 1948 London Olympics, and her great-grandfather, Edward VII, opened the 1908 London Olympics. Elizabeth also opened the 1976 Games in Canada, and Prince Philip opened the Melbourne Olympics in 1956. During her life Queen Elizabeth has held many titles and has witnessed the ongoing transformation of the British Empire into the Commonwealth of Nations. She became the first reigning monarch of Australia and New Zealand to visit those nations. During the tour, crowds were immense; three-quarters of the population of Australia were estimated to have seen the Queen. Since then and Throughout her reign, Elizabeth has undertaken state visits to foreign countries, and tours of Commonwealth ones. She is the most widely travelled head of state in history. She has also received many honours and awards from around the world during her reign, and has held honorary military positions throughout the Commonwealth. English novelist and poet Charlotte Brontë was born on this day 21 April n 1816 She was the eldest of the three Brontë sisters who survived into adulthood, whose novels are English literature standards. She wrote Jane Eyre under the pen name Currer Bell. Charlotte was born in Thornton, Yorkshire in 1816, the third of six children. In August 1824, Charlotte was sent with three of her sisters, Emily, Maria, and Elizabeth, to the Clergy Daughters’ School at Cowan Bridge in Lancashire (Charlotte later used the school as the basis for the fictional Lowood School in Jane Eyre). Charlotte continued her education at Roe Head, Mirfield, from 1831 to 32, where she met her lifelong friends and correspondents, Ellen Nussey and Mary Taylor. During this period, she wrote her novella The Green Dwarf (1833) under the name of Wellesley. Charlotte returned to Roe Head as a teacher from 1835 to 1838. In 1839, she took up the first of many positions as governess to various families in Yorkshire, a career she pursued until 1841. In May 1846, Charlotte, Emily, and Anne self-financed the publication of a joint collection of poetry under the assumed names of Currer, Ellis and Acton Bell. Charlotte’s first manuscript, called The Professor, did not secure a publisher, although she was heartened by an encouraging response she received from Smith, Elder & Co of Cornhill, who expressed an interest in any longer works which “Currer Bell” might wish to send.Charlotte responded by finishing and sending a second manuscript in August 1847, and six weeks later this second manuscript (titled Jane Eyre: An Autobiography) was published. Jane Eyre was a success, and initially received favourable reviews. It was followed by the subsequent publication of the first novels by Charlotte’s sisters: Emily’s Wuthering Heights and Anne’s Agnes Grey. Sadly though Charlotte died, along with her unborn child, on 31 March 1855, at the young age of 38. Her death certificate gives the cause of death as phthisis (tuberculosis), but many biographers suggest she may have died from dehydration and malnourishment, caused by excessive vomiting from severe morning sickness or hyperemesis gravidarum. There is also evidence to suggest that Charlotte died from typhus she may have caught from Tabitha Ackroyd, the Bronte household’s oldest servant, who died shortly before her. Charlotte was interred in the family vault in The Church of St. Michael and All Angels, Haworth, West Yorkshire, England. American Author Mark Twain (Samuel Langhorne Clemens) sadly passed away April 21 1910. Born November 30, in 1835 he is Most noted for his novels, The Adventures of Tom Sawyer (1876), and its sequel, Adventures of Huckleberry Finn (1885), the latter often called “the Great American Novel.” Mark Twain was born during a visit by Halley’s Comet, and he predicted that he would “go out with it” as well. he grew up in Hannibal, Missouri, which would later provide the setting for Huckleberry Finn and Tom Sawyer. At first He apprenticed with a printer. Where He also worked as a typesetter and contributed articles to his older brother Orion’s newspaper. After toiling as a printer in various cities, he became a master riverboat pilot on the Mississippi River. He then turned to journalism and while a reporter, he wrote a humorous story, The Celebrated Jumping Frog of Calaveras County, which became very popular and brought nationwide attention. His travelogues were also well-received. Twain had found his calling. Twain began his career writing light, humorous verse, but evolved into a chronicler of the vanities, hypocrisies and murderous acts of mankind. At mid-career, with Huckleberry Finn, he combined rich humour, sturdy narrative and social criticism. Twain was a master at rendering colloquial speech which helped to create and popularize a distinctive American literature built on American themes and language. Many of Twain’s works have been suppressed at times for various reasons. Adventures of Huckleberry Finn has repeatedly been restricted in American high schools, for its frequent use of words now considered racist which were in common usage in the pre-Civil War period in which the novel was set. Although He achieved great success as a writer and public speaker, with his wit and satire earning him praise from presidents, artists, industrialists, European royalty, critics and peers alike, he lacked financial acumen, and although he made a great deal of money from his writings and lectures, he squandered it on various ventures,and was often forced to declare bankruptcy. Twain’s first important work, “The Celebrated Jumping Frog of Calaveras County,” was first published in the New York Saturday Press on November 18, 1865. Next, he was commissioned to write letters about his travel experiences, chronicling his experiences with his burlesque humour. The first journey he took was to ride the steamer Ajax in its maiden voyage to Hawaii. These humorous letters proved the genesis to his work with the San Francisco Alta California newspaper, which designated him a traveling correspondent for a trip from San Francisco to New York City via the Panama isthmus. This trip resulted in The Innocents Abroad or The New Pilgrims’ Progress. This is a record of a pleasure trip, written as If it were a record of a solemn scientific expedition having the gravity, profundity, and impressive incomprehensibility which are so proper to works of that kind. In 1872, Twain published a second piece of travel literature, Roughing It, as a semi-sequel to Innocents. This was a semi-autobiographical account of Twain’s journey to Nevada and his subsequent life in the American West. The book lampoons American and Western society in the same way that Innocents critiqued the various countries of Europe and the Middle East. Twain’s next work. Entitled The Gilded Age: A Tale of Today was not a travel piece, as his previous two books had been, it focused more on the events of the day in American society, and was his first attempt at writing a novel. The book is also notable because it is Twain’s only collaboration; it was written with his neighbor Charles Dudley Warner. Twain’s next two works drew on his experiences on the Mississippi River. Old Times on the Mississippi, was a series of sketches published in the Atlantic Monthly in 1875, which featured Twain’s disillusionment with Romanticism. It eventually became the starting point for Life on the Mississippi. Twain’s next major publication was The Adventures of Tom Sawyer, which drew on his youth in Hannibal. Modelled on Twain as a child, with traces of two schoolmates, John Briggs and Will Bowen. 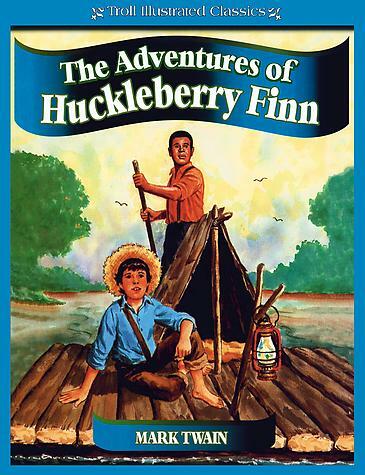 The book also introduced Huckleberry Finn, based on Twain’s boyhood friend Tom Blankenship. His next book, The Prince and the Pauper, was not as well received. It Tells the story of two boys born on the same day who are physically identical, who switch places. Pauper was Twain’s first attempt at historical fiction, and blame for its shortcomings is usually put on Twain for having not been experienced enough in English society, and also on the fact that it was produced after a massive hit. Twain’s next major published work, Adventures of Huckleberry Finn, solidified him as a noteworthy American writer. Some have called it the first Great American Novel, and the book has become required reading in many schools throughout the United States. Huckleberry Finn was an offshoot from Tom Sawyer and had a more serious tone than its predecessor. The main premise behind Huckleberry Finn is the young boy’s belief in the right thing to do, even though most believed that it was wrong. Scottish novelist Alistair Stuart MacLean (Scottish Gaelic: Alasdair MacGill-Eain; was born 21 April 1922. He wrote many popular thrillers and adventure stories, the best known being The Guns of Navarone, Ice Station Zebra, and Where Eagles Dare. He also wrote two novels under the pseudonym Ian Stuart. MacLean was born in Glasgow but spent much of his childhood and youth in Daviot, ten miles south of Inverness. He was the third of four sons. He joined the Royal Navy in 1941, serving in World War II with the ranks of Ordinary Seaman, Able Seaman, and Leading Torpedo Operator. He was first assigned to PS Bournemouth Queen, a converted excursion ship fitted for anti-aircraft guns, on duty off the coasts of England and Scotland. Beginning in 1943, he served on HMS Royalist, a Dido-class light cruiser. There he saw action in 1943 in the Atlantic theatre, on two Arctic convoys and escorting carrier groups in operations against Tirpitz and other targets off the Norwegian coast. In 1944 he and the ship served in the Mediterranean theatre, as part of the invasion of southern France and in helping to sink blockade runners off Crete and bombard Milos in the Aegean. During this time MacLean may have been injured in a gunnery practice accident.In 1945, in the Far East theatre, MacLean and Royalist saw action escorting carrier groups in operations against Japanese targets in Burma, Malaya, and Sumatra. (MacLean’s late-in-life claims that he was captured by the Japanese and tortured have been dismissed by both his son and his biographer as drunken ravings. After the Japanese surrender, Royalist helped evacuate liberated POWs from Changi Prison in Singapore. MacLean was released from the Royal Navy in 1946. He then studied English at the University of Glasgow, graduating in 1953, and then worked as a school teacher in Rutherglen. While a university student, MacLean began writing short stories for extra income, winning a competition in 1954 with the maritime story “Dileas”. The publishing company Collins asked him for a novel and he responded with HMS Ulysses, based on his own war experiences, as well as credited insight from his brother Ian, a Master Mariner. The novel was a great success and MacLean was soon able to devote himself entirely to writing war stories, spy stories and other adventures. In the early 1960s, MacLean published two novels under the pseudonym “Ian Stuart” in order to prove that the popularity of his books was due to their content rather than his name on the cover. 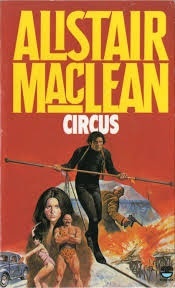 They sold well, but MacLean made no attempt to change his writing style and his fans may easily have recognized him behind the Scottish pseudonym. MacLean’s books eventually sold so well that he moved to Switzerland as a tax exile. From 1963–1966, he took a hiatus from writing to run a hotel business in England. Sadly though, MacLean’s later books were not as well received as the earlier publications and, in an attempt to keep his stories in keeping with the time, he sometimes lapsed into overly improbable plots. He also struggled constantly with alcoholism, which eventually brought about his death in Munich on 2 February 1987. He is buried a few yards from Richard Burton in Céligny, Switzerland. He was married twice and had two sons by his first wife, as well as an adopted third son.MacLean was awarded a Doctor of Letters by the University of Glasgow in 1983. Many of his novels have also been made into popular and exciting films, including The Guns of Navarone, Ice Station Zebra, and Where Eagles Dare and his novel remain popular.